At Lifetime Pet Wellness Center we reserve the right to decline or defer vaccination of a pet. All vaccines are labeled to be given to “healthy” individuals only. If a Lifetime doctor deems that our patient is not healthy enough to receive vaccines, then the decision will be made to defer vaccinations to a later date when better health has been attained. Additionally, some medications and procedures may alter the response to a vaccine adversely, and we may choose to decline or suspend a treatment at the doctor’s discretion. Lifetime policy is to never administer more than three vaccines at one time, and additional vaccines will be deferred to a future visit. Likewise, we may defer vaccines, acupuncture or chiropractics if initially planned for the same day. Acupuncture and chiropractics have effects on the neurologic-endocrine-immune-emotional balance. If a patient is not healthy enough or has a generally compromised immune state, it is advisable to forgo performing all treatments at once. A second visit may be necessary, depending on your pet’s medical needs. Vaccine reactions may be mild or rare, but it is important to monitor your pet for adverse responses. Common symptoms may include mild fever, decreased appetite or activity, sneezing, discomfort or mild swelling at the injection site. An allergic reaction may occur within minutes or hours of vaccination. Rare symptoms may include swelling to face or legs, vomiting or diarrhea, itchiness, difficulty breathing, or collapse. If your pet experiences any of these symptoms, please contact us immediately. Dr. Schultz, an immunologist at the University of Wisconsin and recognized vaccine guru, recommends that patients who experience a vaccine reaction should not be administered that vaccine again. Vaccine reactions can occur at any time in a pet’s life, whether or not they have received vaccines previously. One option which greatly benefits patients, but may cost a little more, is to perform a vaccine titer instead of administering a vaccine. A titer is a blood test which measures the antibody immune level to certain disease-causing agents. If positive for the necessary antibodies, vaccination is not needed at that time. Titer testing is especially recommended for immune-compromised or geriatric patients or those with a history of adverse reactions to vaccination. In the state of Ohio, titers are not legally accepted in place of a rabies vaccine, though rabies titers are available. At LPWC, our goal is to never over vaccinate your pet and to do no harm. Vaccines must be treated with respect and must be given to your pet with care. 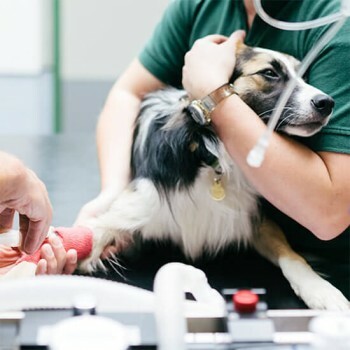 Vaccines are an important part of pet care and prevention, but Lifetime strives to evaluate every pet as an individual and only recommends the vaccines deemed necessary for your pet’s needs.